The weekend of Nov 10-11 saw about 60% of 50 units released sold at The Woodleigh Residences, according to a press statement released by Kajima-SPH, the joint venture between Japanese developer Kajima Development and Singapore Press Holdings (SPH). Average price of units sold is said to be above $2,000 psf. “Given the current challenging property market condition, we were encouraged by the response and released another 50 units,” commented Kazunori Ichihashi, project director of Kajima Development. The sales gallery of The Woodleigh Residences will close from November 19, in preparation for the official launch in early 2019, according to Kajima-SPH. “Soft-launch prices will still be offered to the public who are keen to make a purchase before 19 November 2018,” adds Ichihashi. The Woodleigh Residences has 667 units, with a good mix of two- to four-bedroom units with views of the Bidadari Park and the Alkaff Lake. 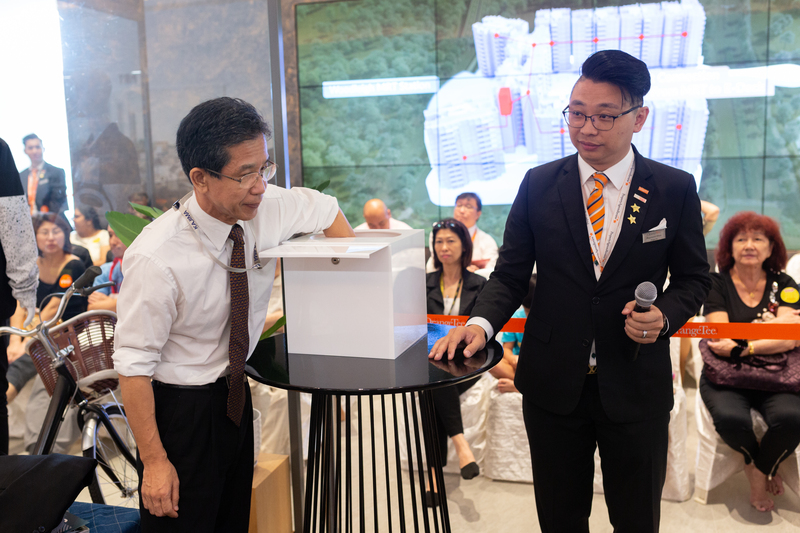 The residential project contains 11 blocks of 11-storeys, and is linked to The Woodleigh Mall, the Woodleigh MRT station and the first underground air-conditioned bus interchange station.